This is a new page (Nov 2014) that I shall endeavour to add to over the next couple of months. 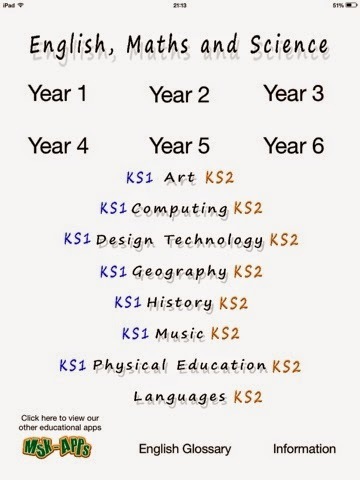 Please let me know if you have any to recommend. 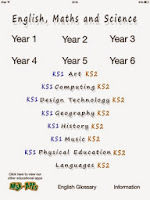 The new National Curriculum is provided here in this easy to navigate app. You can read my review of it here. 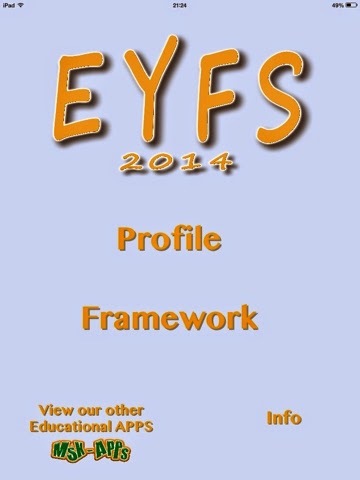 This app allows you to have the EYFS profile and framework at your fingertips.